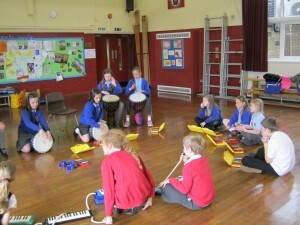 What is the Groove Generation Project? 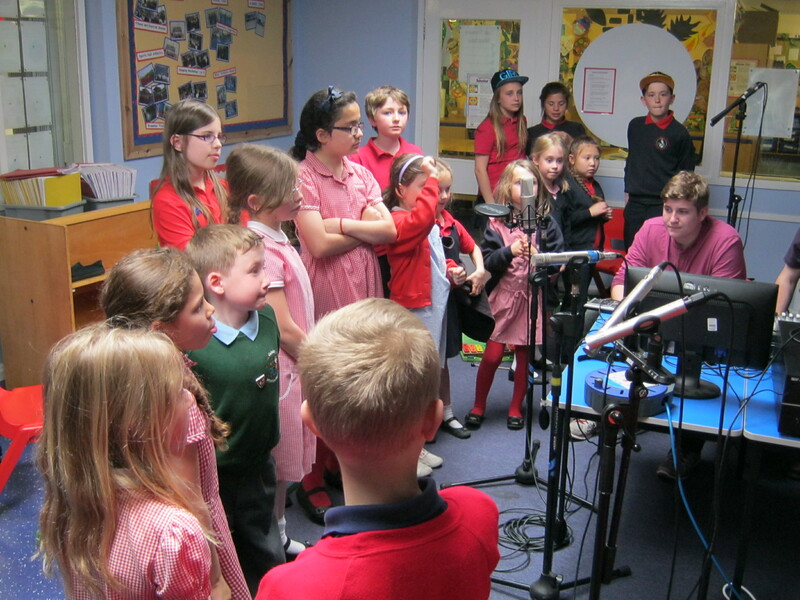 The Groove Generation Project is a cluster initiative, set up with 7 schools in the Guiseley area including Tranmere Park Primary School, Guiseley Infants, Queensway Primary, Rawdon St Peter’s, Yeadon Westfield Juniors, Yeadon Westfield Infants, and St Peter and Paul’s Primary Schools. 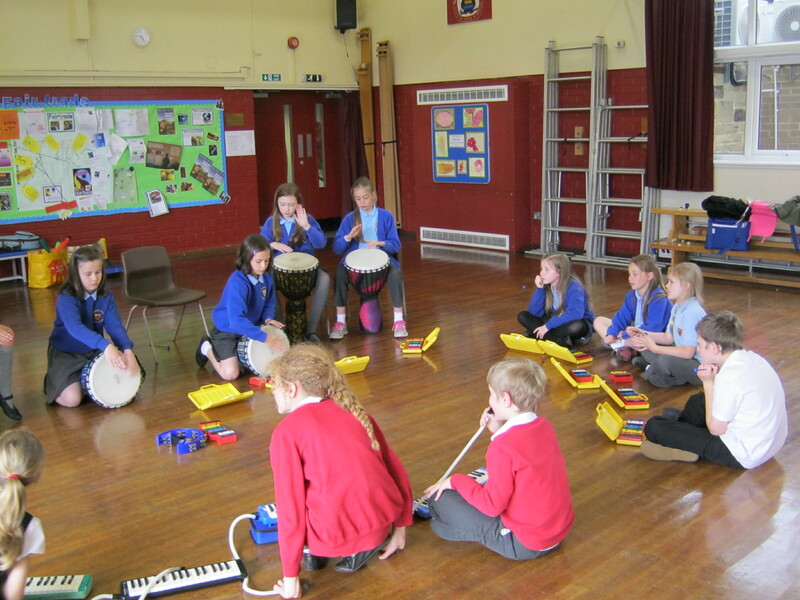 We work together to provide after school music provision; by pooling resources and applying collectively for funding we can create better musical opportunities for children. The hubs (where the sessions are held) are Tranmere Park, Queensway and Yeadon Westfield Juniors. We are funded by Leeds Music Education Partnership, the Outer North West Area Comittee Activities Fund and participating schools. 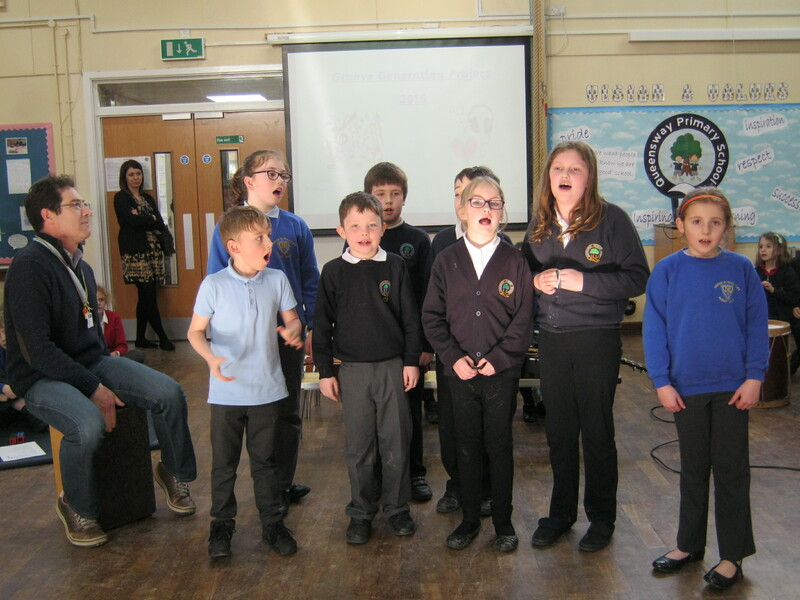 To bring rich inclusive musical opportunities to primary school children in the cluster, increasing engagement in school, training young music leaders to cascade music & music tech skills, and bring children together from schools in the district to make and perform music together. 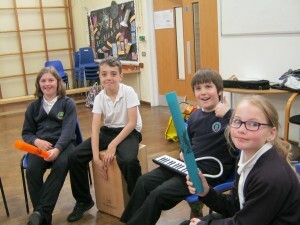 What musical opportunities do we provide? Learning percussion, composition, improvisation and music tech skills (Garageband on iPads) performance and access to a wide range of music specialists. 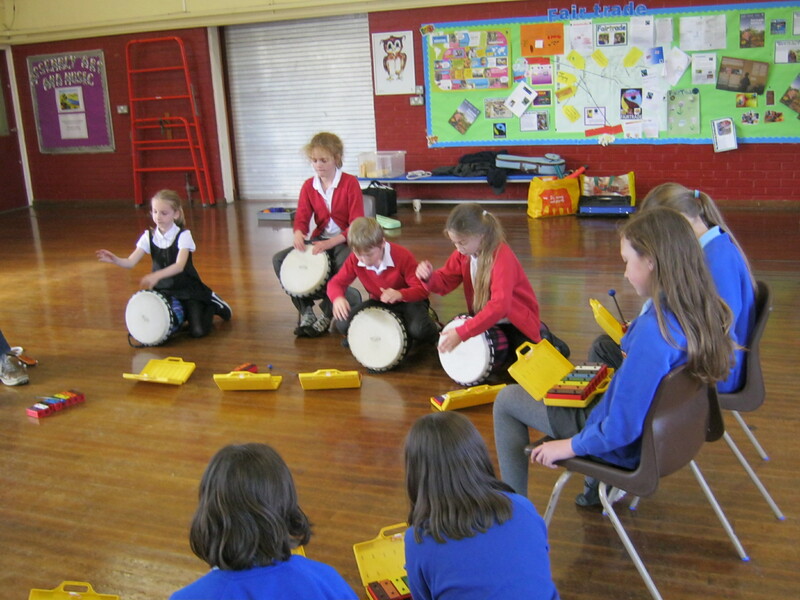 At the end of each half term there is either a guest music practitioner, for example samba or bamboo tamboo, or a performance. 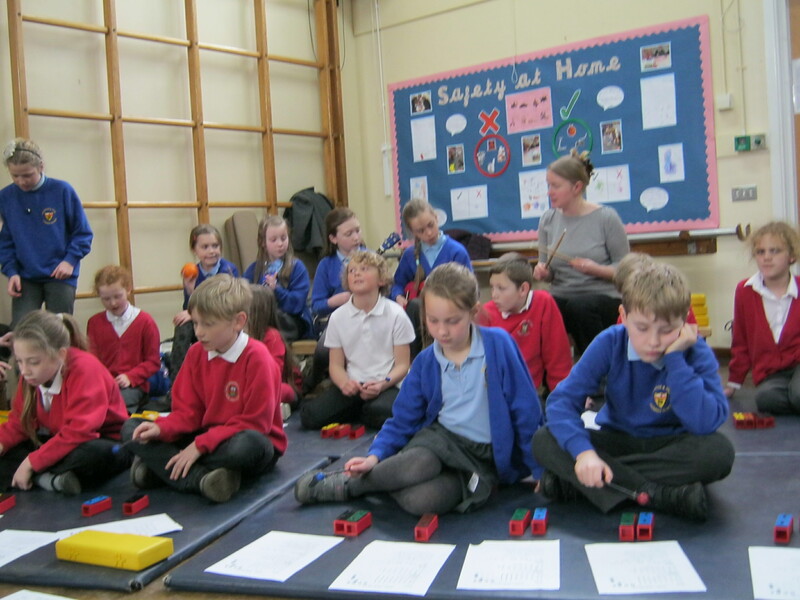 The Project links with Guiseley Music Centre- children taking part in the project will have enhanced access to the Music Centre from Sept 2015. 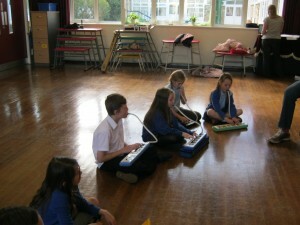 It’s accessible to all children, including those who don’t have access to music lessons. The only criteria is that they love music and want to work together with other children to make music. 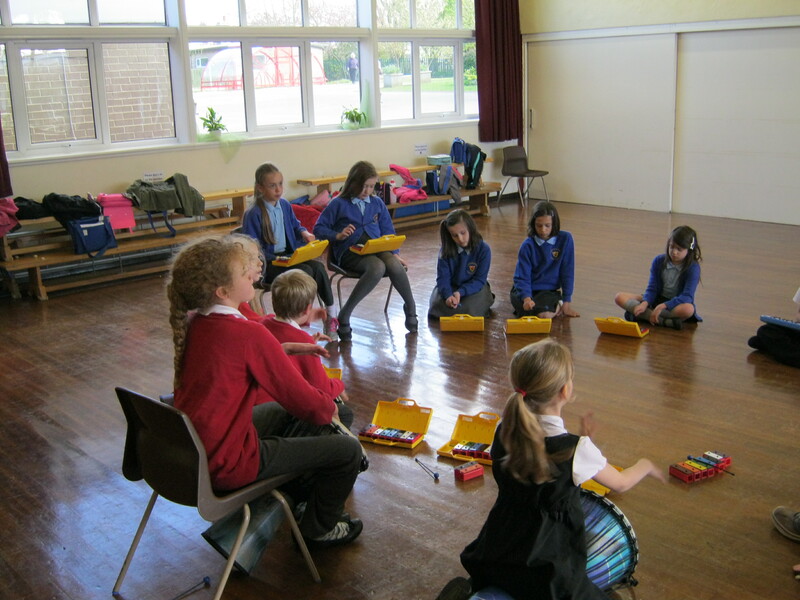 For children who do have music lessons, it’s great opportunity to apply what they have learnt (they can bring their instruments along) whilst playing as part of an ensemble. We also train Young Leaders! As well as being a music project, we train year 5/6 children as young leaders to be able to help lead the music workshop groups, giving them transferable skills which are recognised with the Leeds Youth Award qualification. As far as we’re aware it’s the first of its kind in the country to train primary school youth leaders. By completing the leadership training and working with the younger children, (helping them to settle in, and leading small groups to teach them new skills) they qualify for the Leeds Youth Award, which is a valuable asset for any young person applying in the future to colleges, universities and employment and a stepping stone to awards like Duke of Edinburgh. We have performed at the Aireborough Trust Schools launch; had a Samba workshop & performance; a fantastic end of Spring term performance with 60 children to over 100 family, friends and staff; a bamboo tamboo workshop; been on TV (Made in Leeds); made a professionally recorded and produced CD of the children’s work, and are looking forward to a super end of term performance on 30th June. 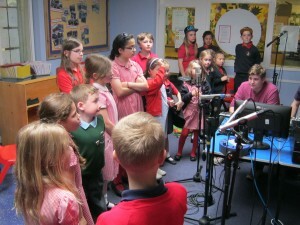 You can support the project by buying a copy of our CD, which are £5 each. Available from Mrs Richardson (see contact details below). If you know of possible funding opportunities, such as match funding from commercial organisations, please contact Mrs Richardson.